NASA tests the engine for the most powerful rocket ever built, designed for deep-space missions. NASA carried out a third successful test of the RS-25 rocket engine, which will be part of its giant new Space Launch System (SLS) deep-space rocket. The test was conducted at the Stennis Space Center in Mississippi and lasted 7.5 minutes, with no issues arising. 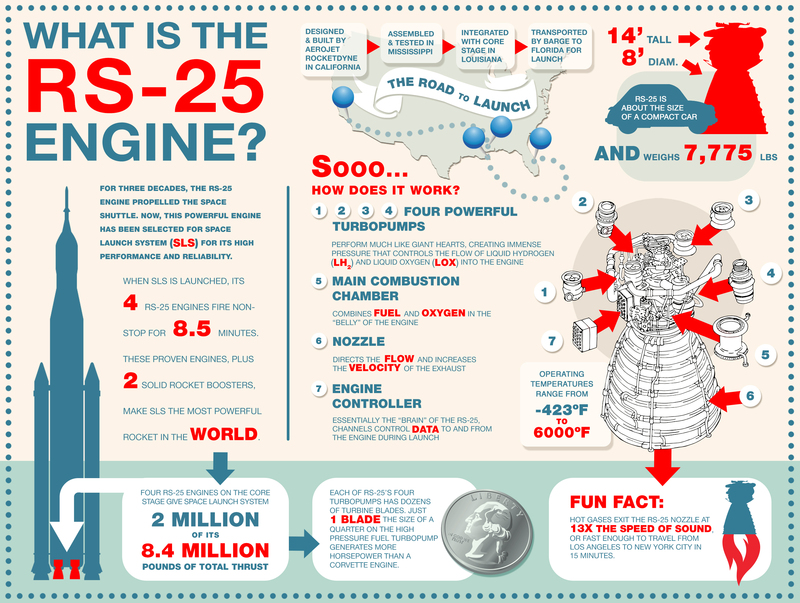 The RS-25 rocket engines, built by Aerojet Rocketdyne, have powered 135 low-Earth orbit space shuttle missions over 30 years. But the engines are being tweaked to reach higher performance levels required by the SLS. The SLS will be outfitted with four such engines and supercharged by two five-segment boosters. Three more tests are upcoming in the next months, while the SLS will have an unmanned test flight with the Orion spacecraft in September 2018. The Orion crew capsule is designed to carry four astronauts. "We continue this test series in the fall. Which is a continuing part of our certification series to fly these engines on NASA's SLS vehicle. Today's test was mostly about wringing out the new control system. We have a new engine controller on this engine. And we have to certify that new controller for flight." The SLS will be higher than the Statue of Liberty and will be able to carry more than twice the payload of any of NASA former space shuttles. Providing more details about the boosters, NASA explained that they are designed to work with the main engines for the first 2 minutes of flight, providing more than 75% of the thrust necessary to break from Earth’s gravitational pull. Oh and they will be about 17 stories high each, will be burning through 5 tonnes of propellant per second to create 3.6 million pounds of thrust. Talk about massive.